Have you ever wanted to live in the sought after Clover Hollow area of Giles County? Well this home is for you! 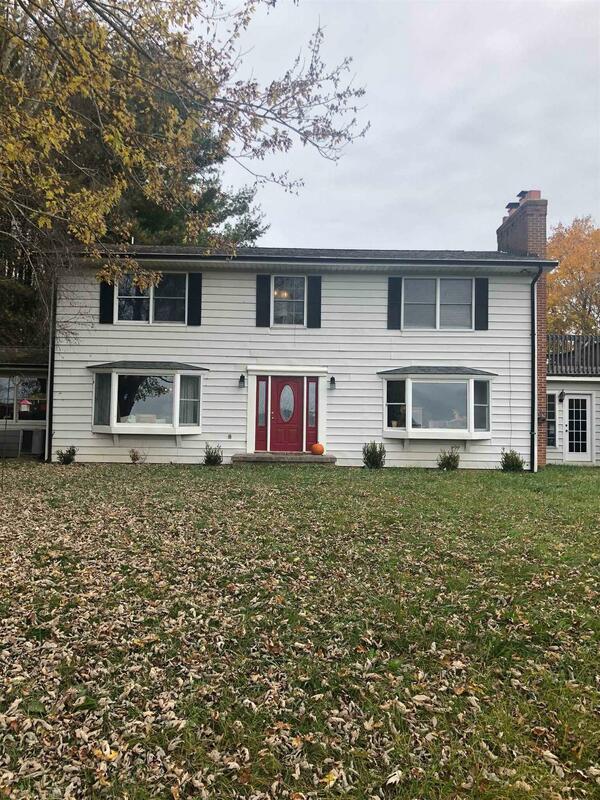 Beautiful fully remodeled Colonial, four bedrooms, four full bathrooms and a half bath in the finished portion of the basement. Living room boasts a woodstove to keep you warm as you watch the falling snow from the bay window overlooking Clover Hollow Mountain and the pond. Great room opens up to a gourmet kitchen with quartz and quartzite countertops, all whirlpool appliances. The down stairs has heartpine oil finished five inch hardwood flooring. This home has a private bathroom for each bedroom upstairs with linen closets in each room as well as ample closet and storage space. The master suite has walk in closet, fireplace and spans the length of the home and a private balcony. The over sized two car garage even has a work room in the back. This show place has over five acres, a pond and even a white picket fence! Call Olivia Anton today! Directions: From 460 Turn Onto 42 At Supervalu Follow 42 To Clover Hollow Road. Turn Left Onto Clover Hollow Go About 3.5 Miles. You Will Turn Left At The White Church, Drive Behind The Church. There Will Be A Sign.